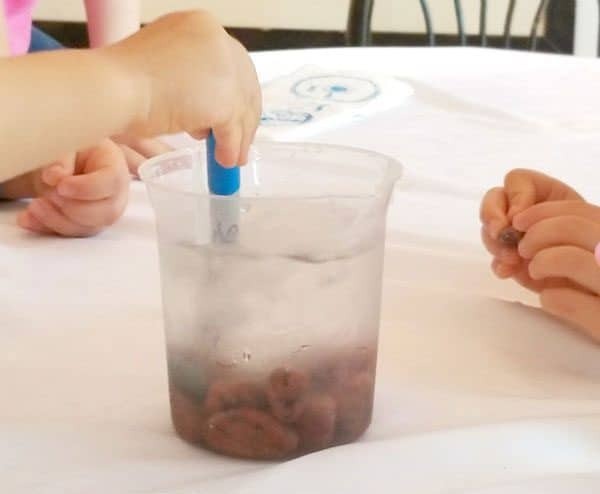 For the final day of our space week for storybook summer we are heading far out into our solar system and exploring one of Jupiter’s Moons with this fun Space Science Experiment for Kids. Space is such a fun topic to explore and through learning about the solar system, stars and moons you can explore other areas of science as well. 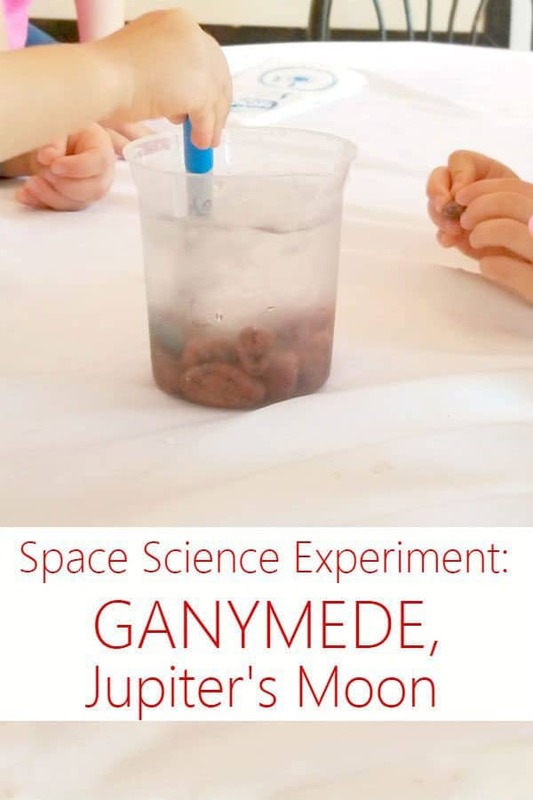 Before we’ve explored the planets as part of the storybook summer and introduced density and now it’s time to explore that further with this Ganymede Science Experiment for Kids. 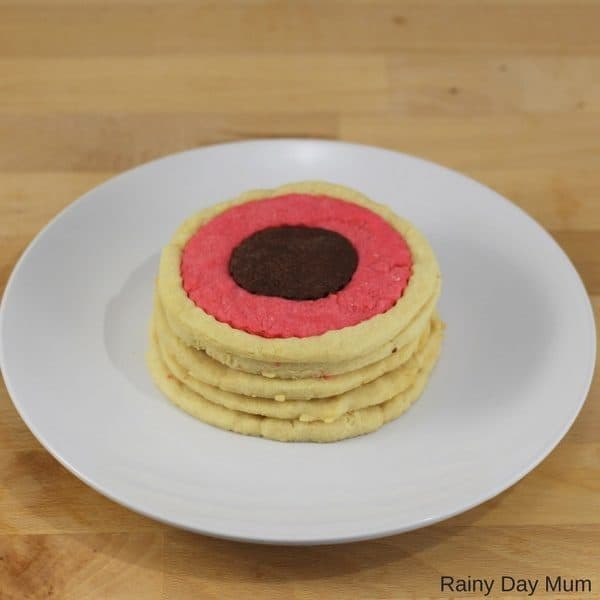 We have included links to the products and resources we used. If you purchase via these links we may earn a small commission. I love to raid library rows with space books, but this week I have especially been in love with The Darkest Dark by Chris Hadfield. Chris is actually an astronaut, but when he was a boy he was afraid of the dark! I love the juxtaposition and the whole layout of the book! I also have been loving Pluto’s Secret by Margaret Weitekamp. It’s more of a non-fiction book, but the science-nerd in me cannot get enough cool facts about Pluto…plus, I remember when it lost its ranking as a planet, and I always felt a little bad for it, lol! Anyway, these books have been a fantastic addition to our Science Week, and I am delighted to share them as part of the Storybook Summer! 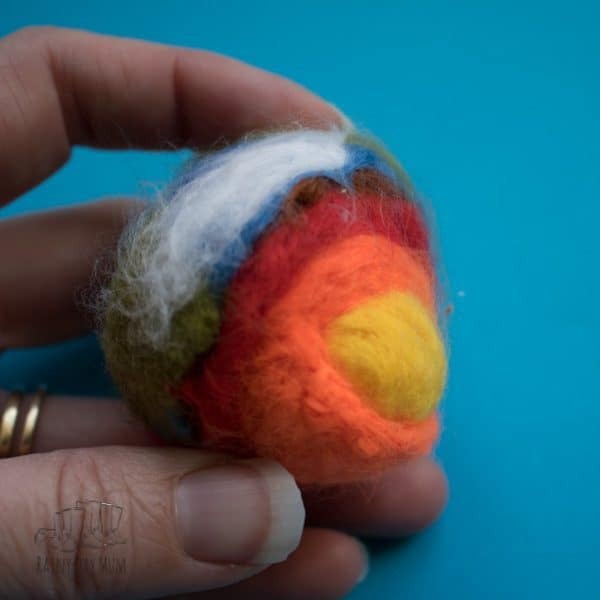 I developed this activity to help my kids learn some of the unique traits of Jupiter’s moons and to review the relationship between density and layers in a planet. Jupiter’s biggest moons were discovered 400 years ago by Galileo, and scientists still study them today! Ganymede, the biggest moon, has an internal structure similar to the Earth: it has a core in the center, a mantle, and a crust. But, unlike the Earth, beneath the crust it has a huge salt water ocean AND the crust is actually made from of ice! 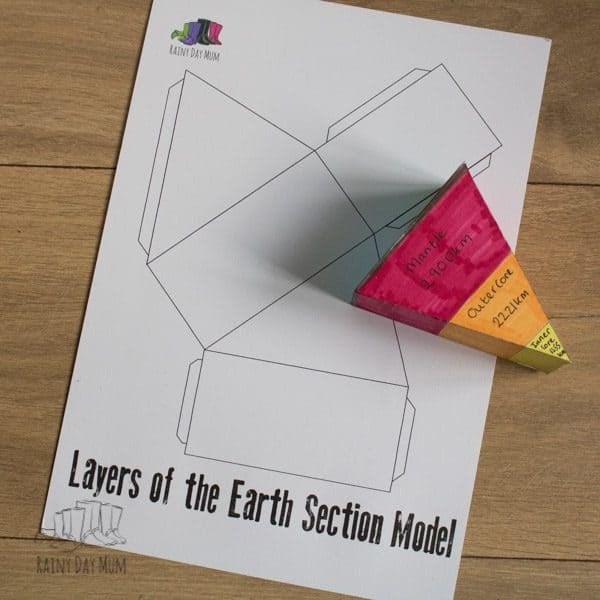 Why not use these Layers of the Earth Models to create a Ganymede Model as well. 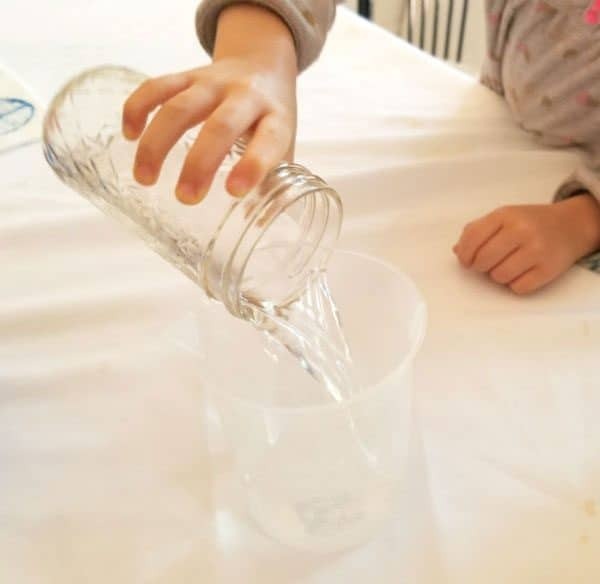 This experiment gives kids a chance to explore density, talk about the layers of Ganymede, space, and more! 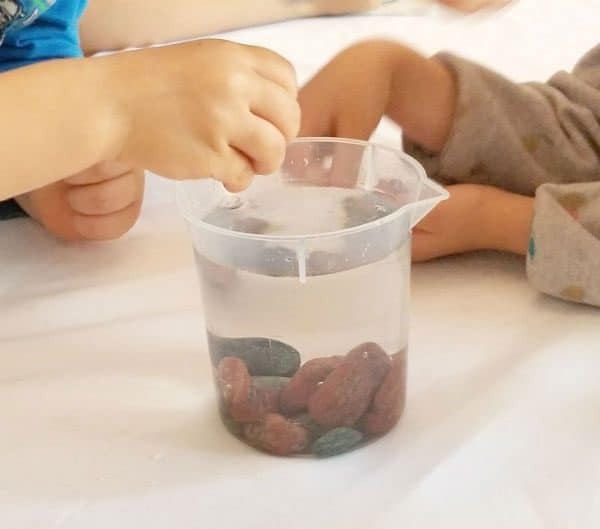 We did the experiment as part of our Space Week…you can find more of our Space Unit Study here and our Space Theme for Preschoolers here! 1- Pour the water into your beaker. 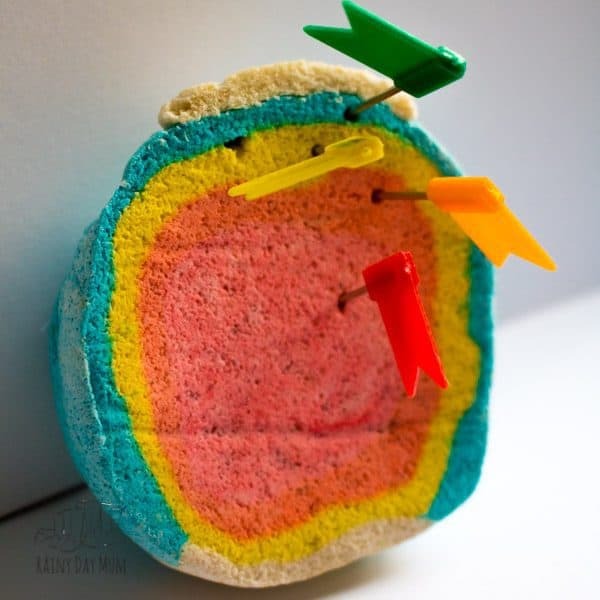 This represents the ocean on Ganymede. It is bigger than all the water on Earth! 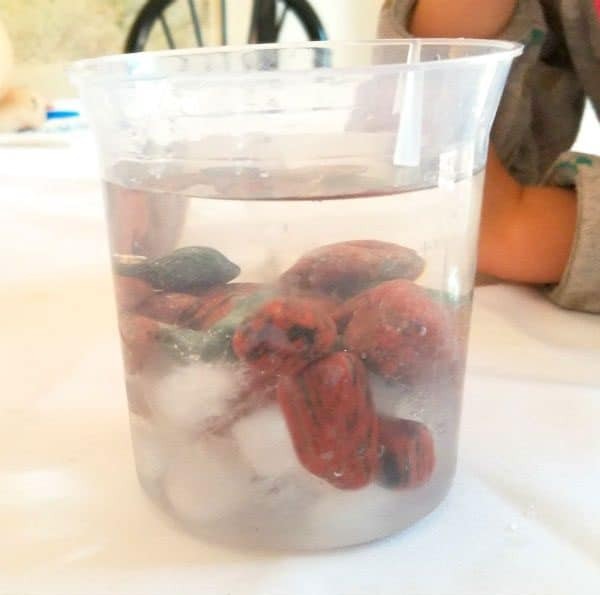 2- Ask your kids if they think the rocks and ice will float or sink, then let them add rocks or ice and see if they were right! Talk about how on Ganymede the ice is at the top of the planet, so if we landed on the planet we would land on ice covering an ocean! At the bottom of the ocean is a layer of rock, and it stays layered just like the ice, water, and rocks in our experiment. 3- What would happen if we added the “ingredients” in a different order? 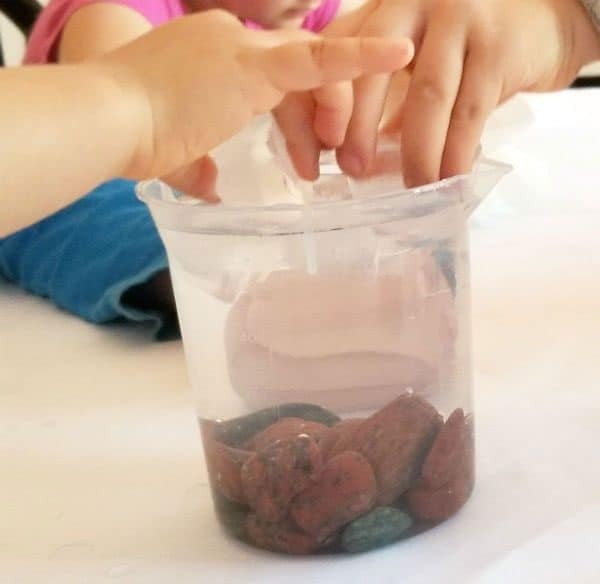 Let your kids experiment! But, when Ganymede formed the elements and fragments probably crashed into each other and stirred themselves constantly. 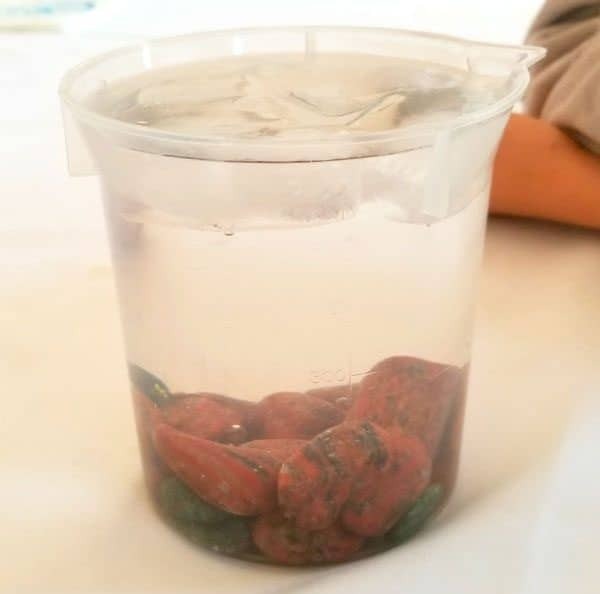 …and the ice, water, and rocks separated out according to their densities! All the planets and moons are layered from the densest at their cores to the least dense at their surfaces. Older kids can discuss density and its implications more, while younger kids are usually happy to find that ice floats and rocks sink. All ages like to play with the rocks and ice! I hope you are loving this Space Theme! I would love to hear from you if you try this experiment! 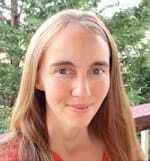 Carla is a science teacher turned homeschooling mom who loves to teach, go on adventures with her family, try new things, and eat ice-cream! You can find her online at Preschool Powol Packets and Teaching Without Chairs!